Bournemouth host West Bromwich Albion at the Vitality Stadium on Saturday in what could be seen as a 'last chance saloon' game for the visitors. West Brom are stuck at the bottom of the Premier League table, eight points from safety, and despite taking the lead, suffered a demoralising 4-1 home loss to Leicester City in their last outing. That was the Baggies' sixth league loss on the trot, and extended their record of only recording one win in their last 28 Premier League games. ​The board have backed manager Alan Pardew, who is likely to take charge for the rest of the campaign. ​Bournemouth on the other hand are more likely to be looking up the table, rather than over their shoulder. Just two more wins should secure the Cherries their Premier League status for another year. But as with West Brom, Bournmouth endured a 4-1 home loss last week, and will want to get back on track after being winless in their last four outings. The game at the Hawthorns in August finished 1-0 to the home side, and a similar result on Saturday may just give the Baggies a little bit of hope that a great escape still could be achieved. This match was Bournemouth's first visit to the Hawthorns for a league game since August 1992. The game started slowly, with the first 30 minutes not providing too much drama. However, this all changed when Baggies' midfielder James McClean was shown a straight red card for a challenge on Adam Smith just after the half an hour mark. Bournemouth took advantage of their extra man when they took the lead in the second period, when Smith himself slotted in from 20 yards. But the Baggies fought back, and equalised when Gareth McAuley headed in a corner against the run of play in the 79th minute. He may have thought that he had grabbed a point for the 10 men; however Bournemouth had other ideas. Referee Mike Dean controversially awarded a penalty to the Cherries three minutes from time, when it appeared that the challenge by Darren Fletcher on Dan Gosling occurred outside of the area. But Charlie Daniels made no mistake from the spot. Striker Salomon Rondon then added to ​West Brom's misery by being sent off for what appeared to be a headbutt, deep into injury time. Left back Charlie Daniels has been a consistent selection in Eddie Howe's side for the last seven seasons, seeing the club through promotions from League One and the ​Championship to consolidating themselves as a ​Premier League side. He has contributed to 22 clean sheets during his 98 Premier League appearances. It will be Daniels' job to keep West Brom winger Oliver Burke quiet. The 20-year-old was drafted into the starting lineup on Saturday and provided the assist for Salomon Rondon's opening goal. The Scotland international was the Baggies' biggest attacking threat during their last game, and may have a big future in the Premier League. Bournemouth winger Marc Pugh is a major doubt for the game, after missing the last two games with a calf strain. Defender Tyrone Mings will be unavailable after missing most of the season with a back injury, the 25-year-old has not made an appearance for Bournemouth since the start of September. West Brom have been struggling with injuries to key players in recent weeks. It is expected that Jonny Evans will be available after missing the last game due to illness, while Gareth Barry is still struggling with the knee injury that has kept him out for the last two games. Daniel Strurridge, Nacer Chadli and James Morrison will all be unavailable due to injuries. 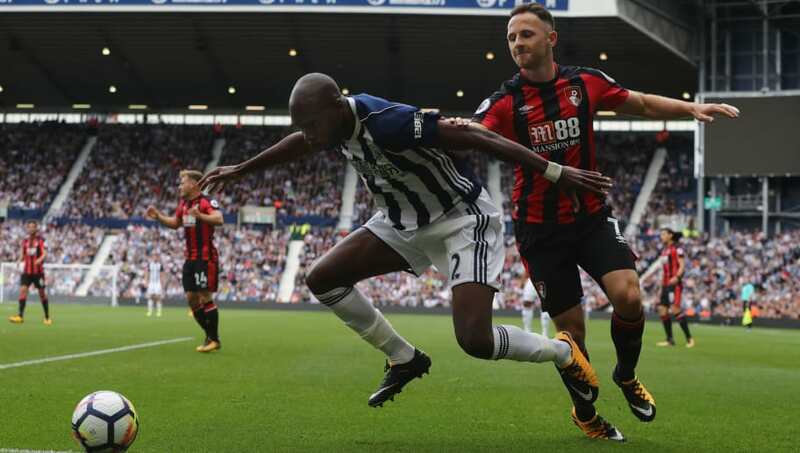 West Brom really need to pick up wins and fast if they have any hope of surviving this season, and with Bournemouth in mid table, and relatively safe of relegation, they may unwittingly take their foot off the gas, which could give the Baggies a chance. However with such a poor record under Alan Pardew in the Premier League, confidence is low around the club and Bournemouth could take advantage, just have others have done so far this season.